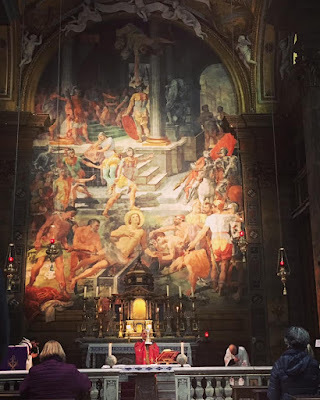 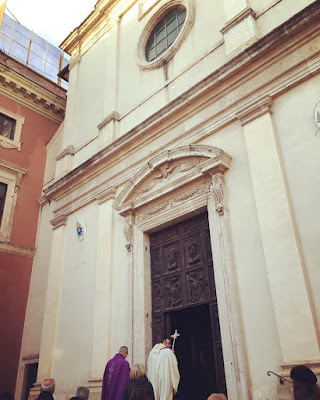 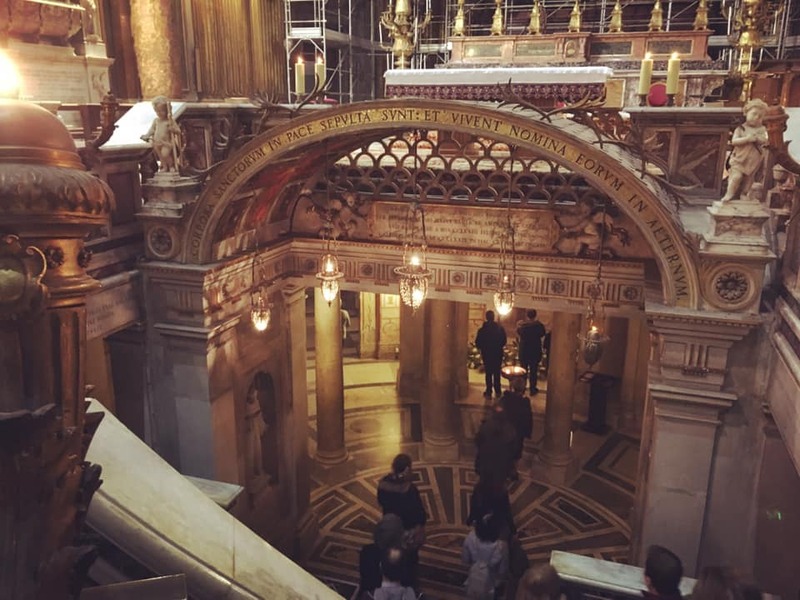 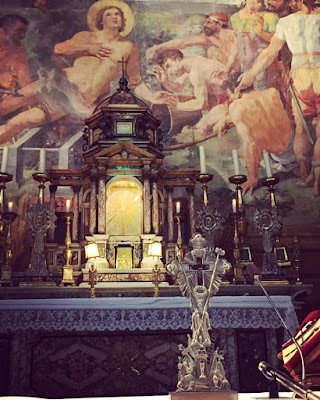 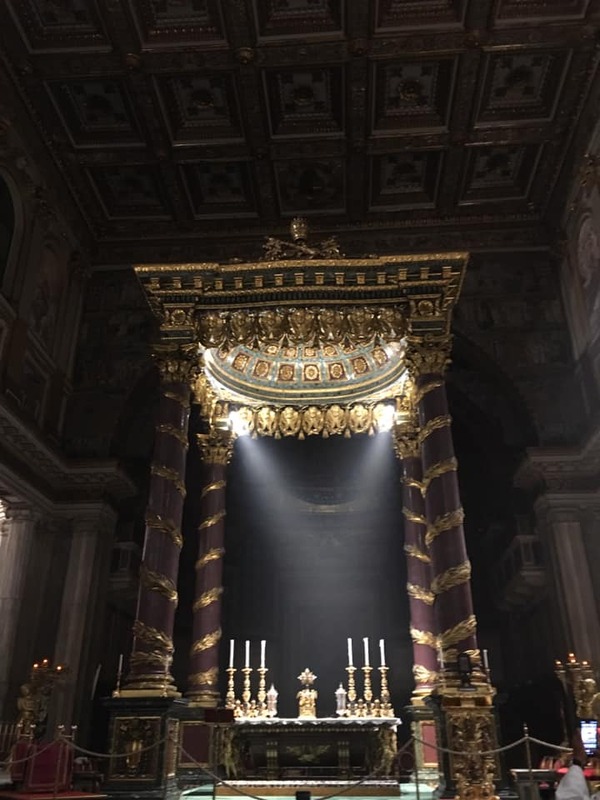 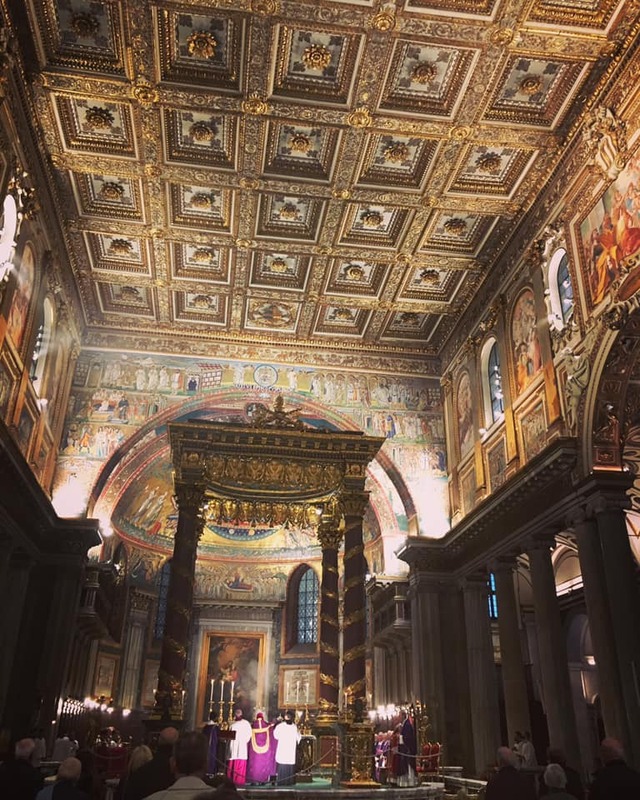 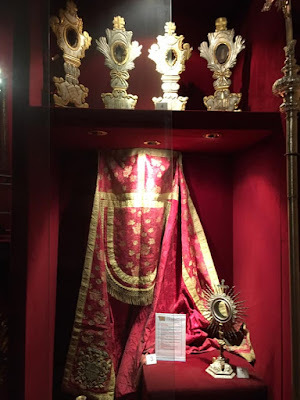 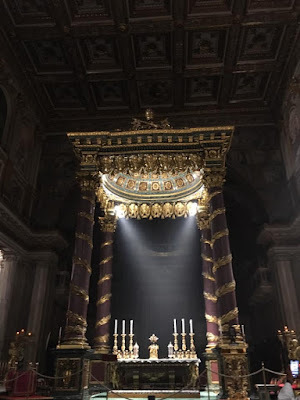 Our Roman pilgrim friend Agnese is back on her feet, and so we continue with this year’s series of her photos of the Lenten stational Masses, with a special emphasis on relics and processions. Penitential procession through the basilica. 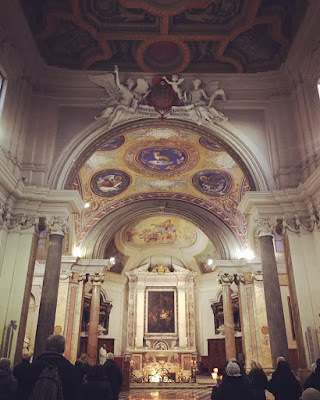 Many of these churches set up a special display of relics on the day of the station; Santa Maria Maggiore, which is also the station for the Wednesday of Holy Week, has one of the nicest arrangements on the high altar. 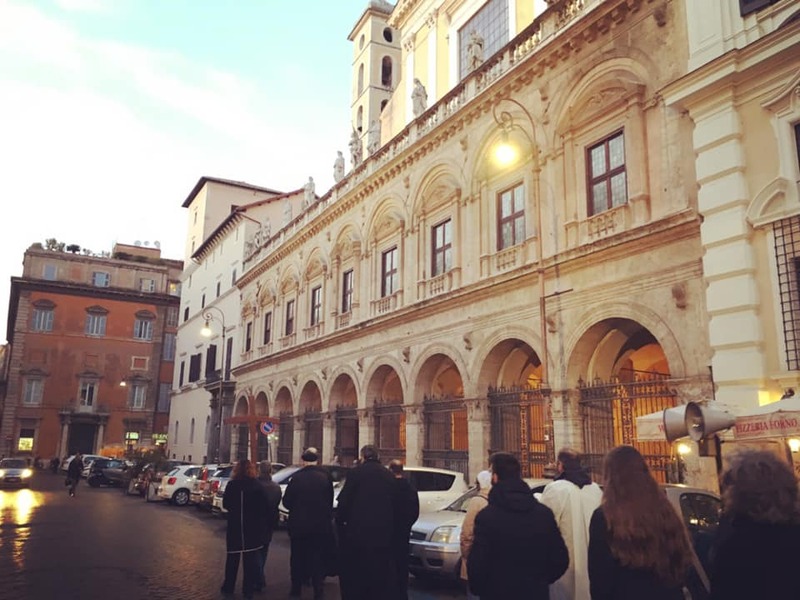 This church is on one of the busiest streets on the Esquiline Hill, so the procession before Mass only goes around the small courtyard in front of the it. 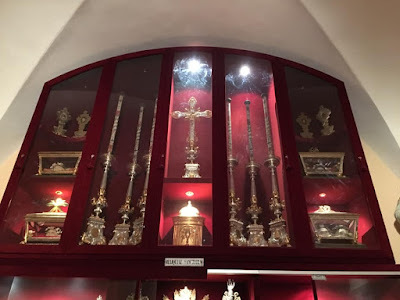 A relic of the True Cross, one of several in a very impressive collection, as seen in the following photos. 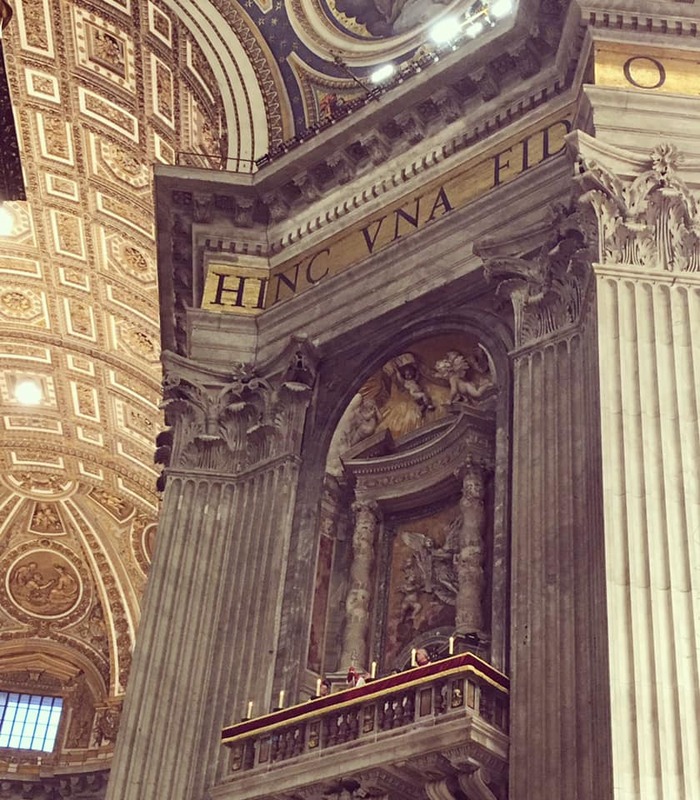 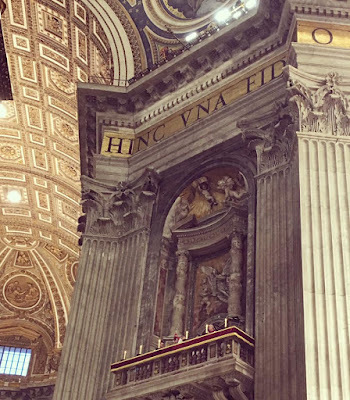 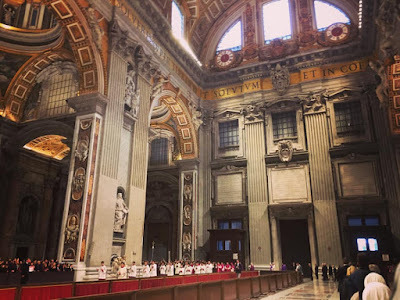 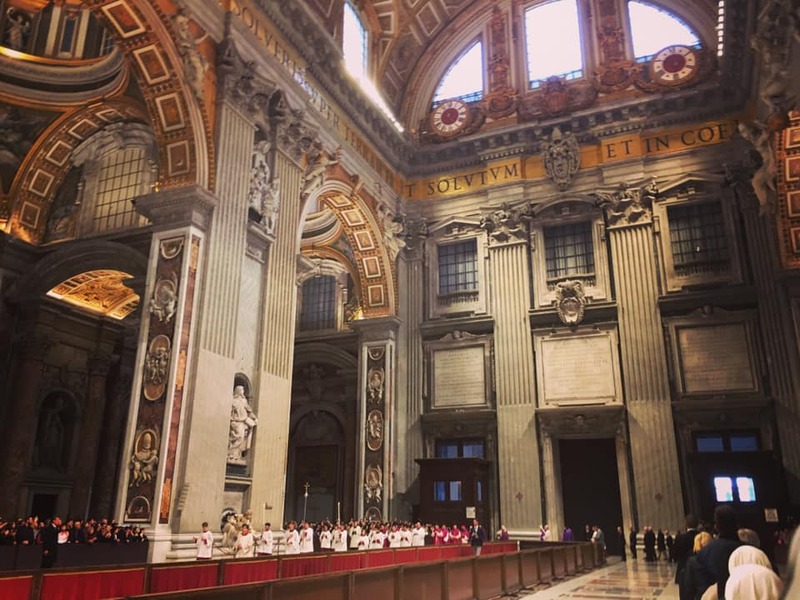 Back when the Pope himself kept the Stations on a regular basis, the ceremony of each ferial day in Lent began at the “Collect,” a church not too far from the Station, where the faithful would gather over the course of the day. 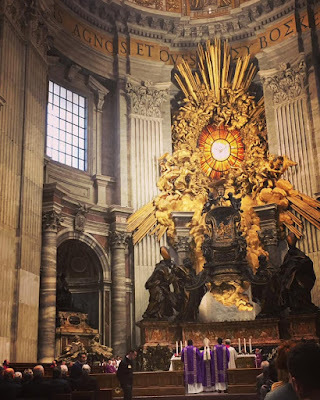 The Pope would arrive in the later afternoon, vest for Mass, and process with the clergy and faithful to the Station; the custom of singing the Litany of the Saints at the Lenten Stations is a remnant of this tradition. 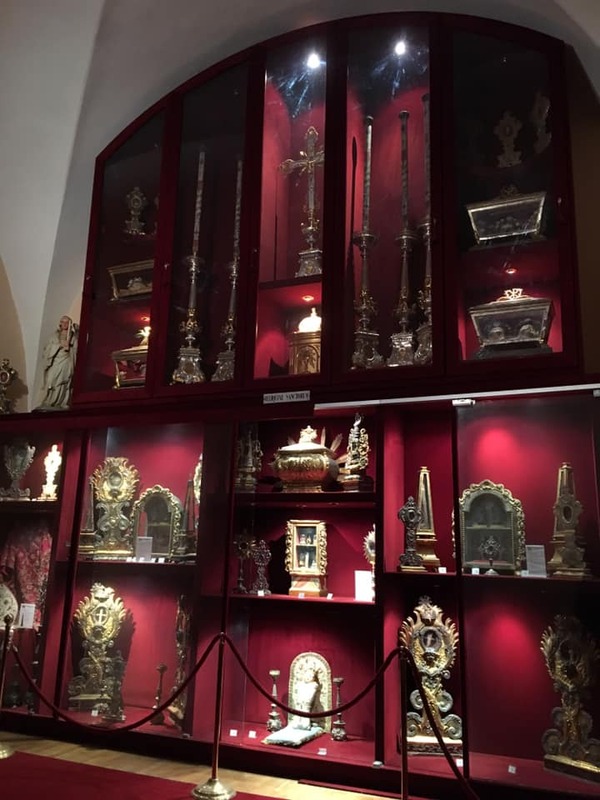 The Collects, however, dropped out of use fairly early; they are not listed in the Missal, and several of them were at churches which no longer exist. 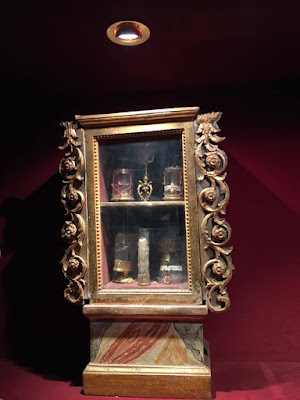 (See this article from 2010 for more details.) 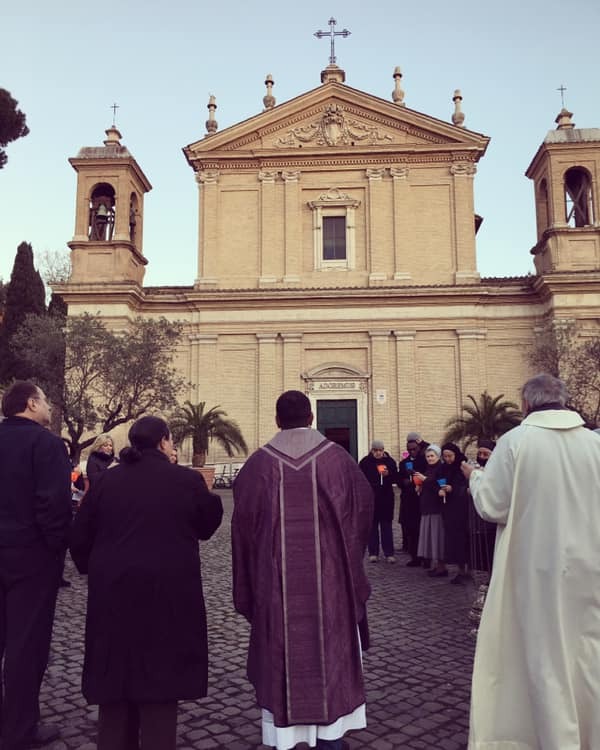 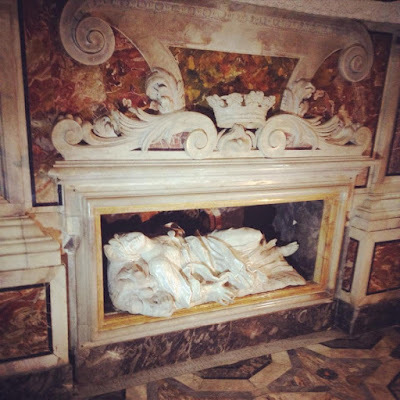 However, some of the Stations are now kept in Rome in a similar fashion; the one for Ember Friday at the church of the Twelve Apostles is preceded by a procession from the nearby church of the Most Holy Name of Mary at the Forum of Trajan. 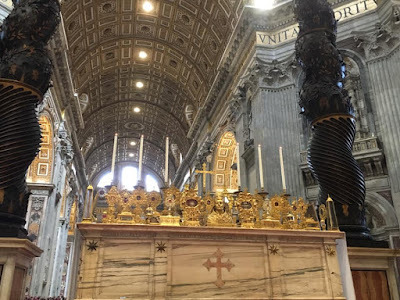 (This was the cardinalitial title of H.E. Darío Castrillón-Hoyos, former president of the Ecclesia Dei commission.) Likewise, on Ash Wednesday, the Popes have in recent decades traditionally processed from the abbey of St Anselmo to the nearby Station at Santa Sabina. 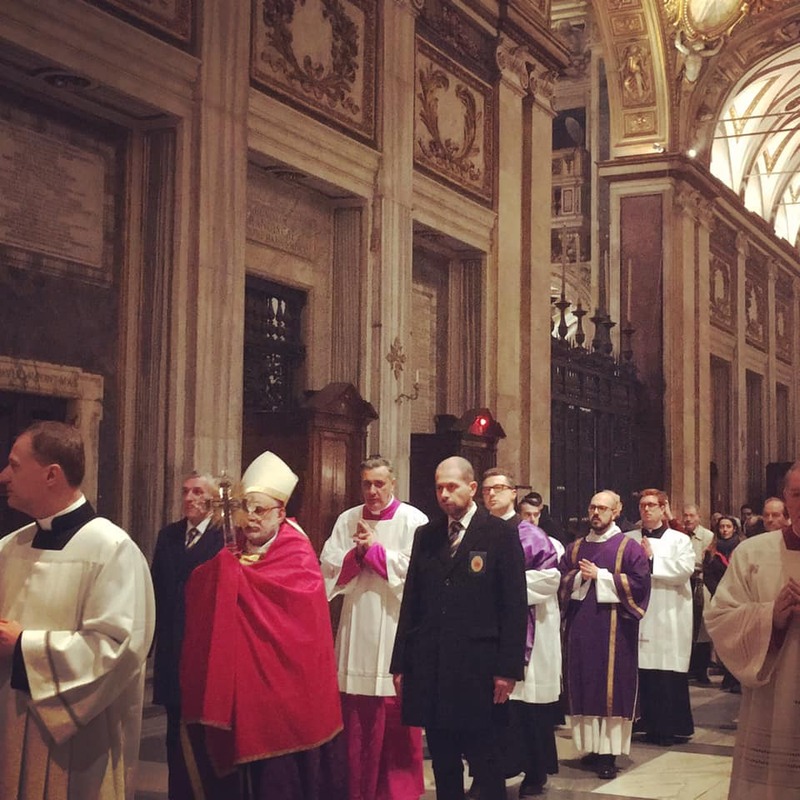 The procession departs from Holy Name of Mary. 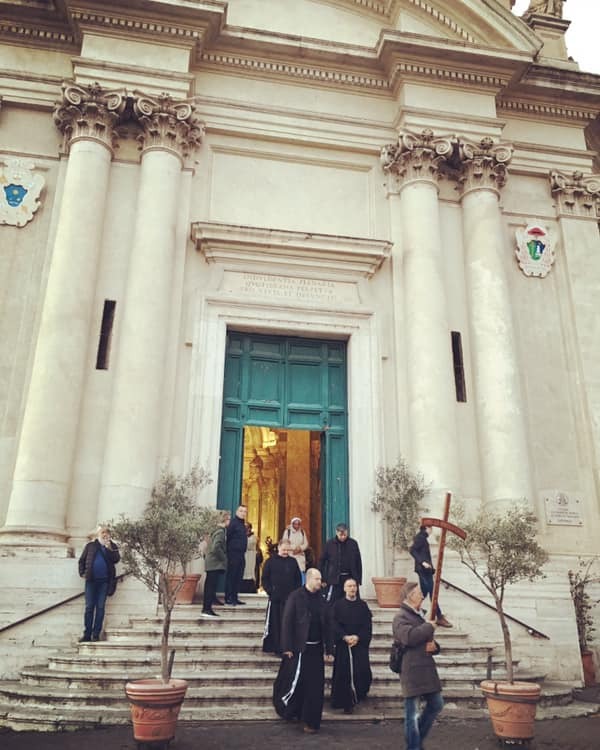 Through the piazza in front of XII Apostles. 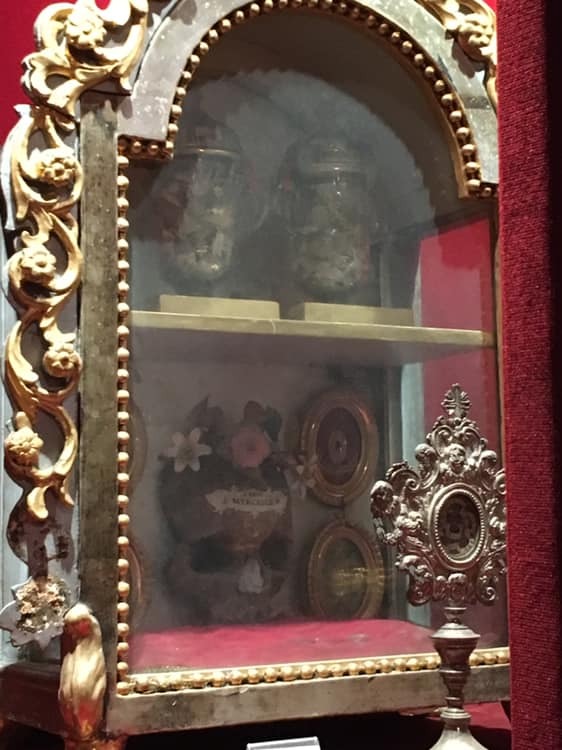 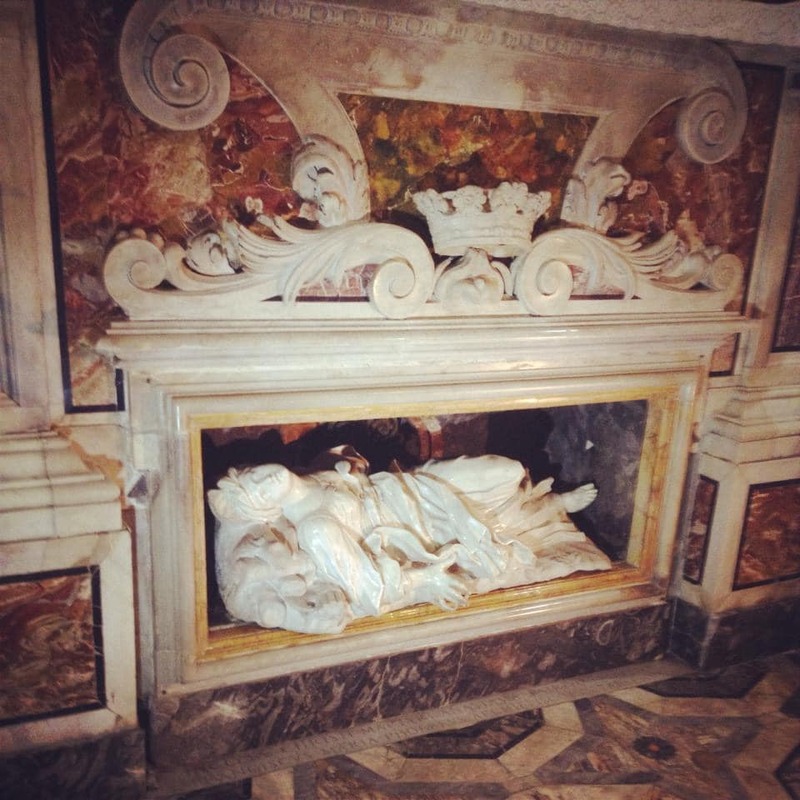 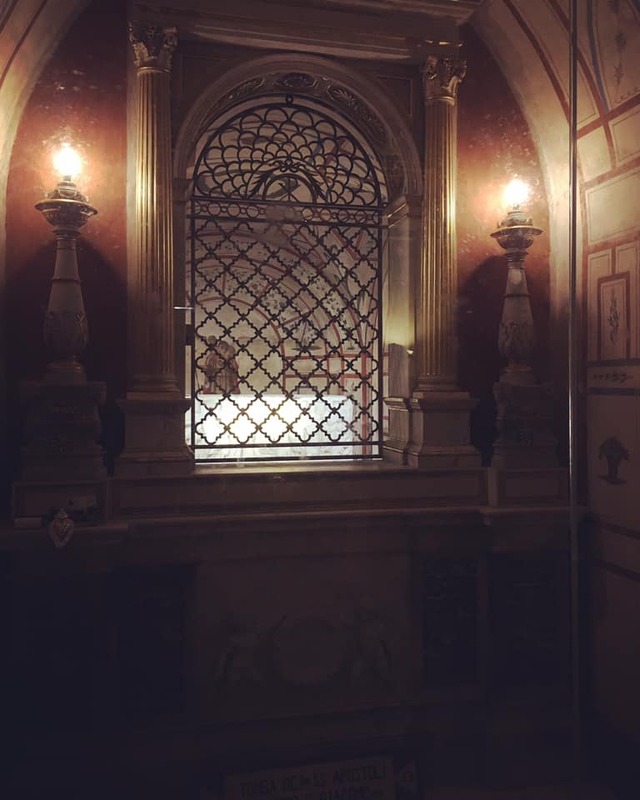 where the relics of Ss Philip and James the Apostles are kept. 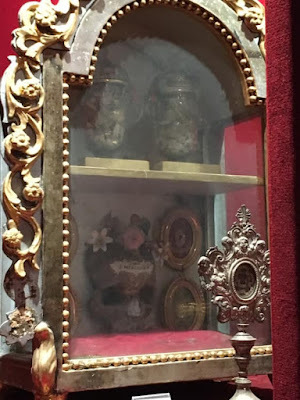 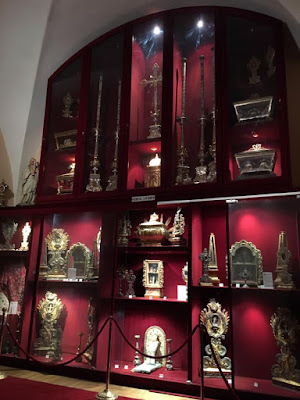 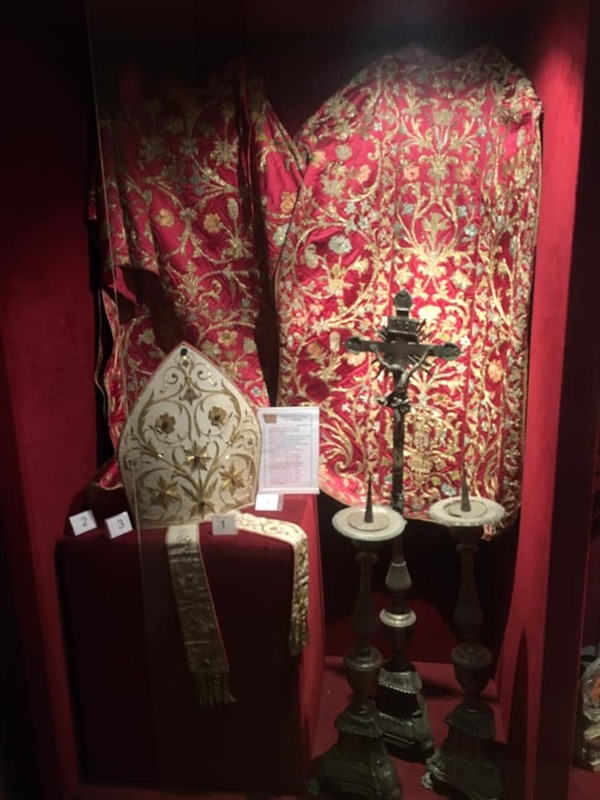 As noted in a recent article, a very large part of the basilica’s relic collection is displayed on the high altar on its two Lenten stational days, Ember Saturday and Passion Sunday. 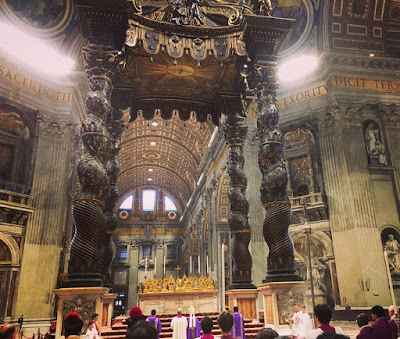 The procession remains entirely within the basilica, the largest church in the world. A special display of the Veil of Veronica.